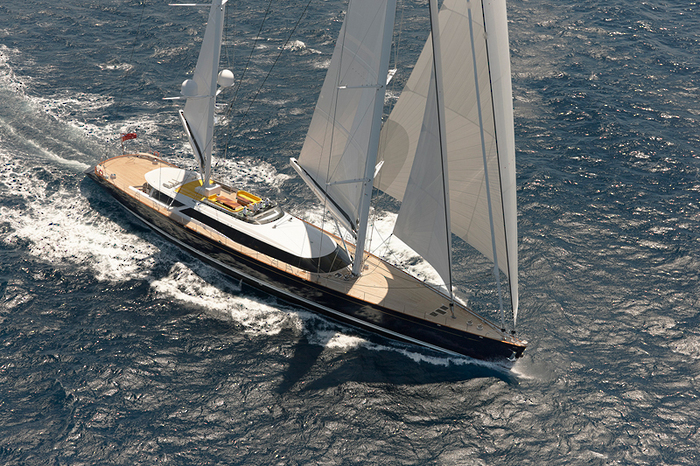 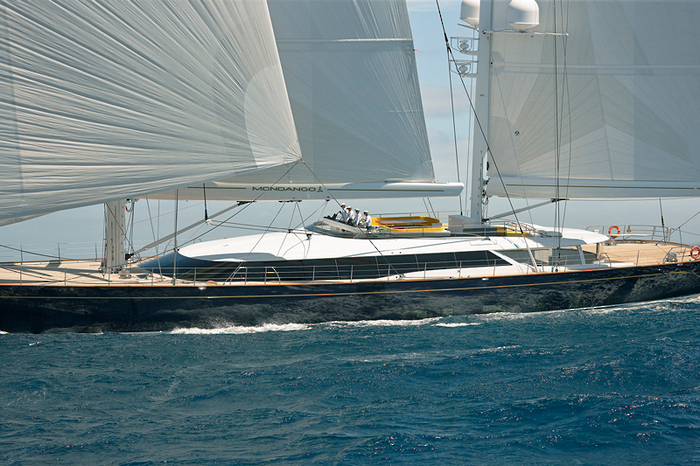 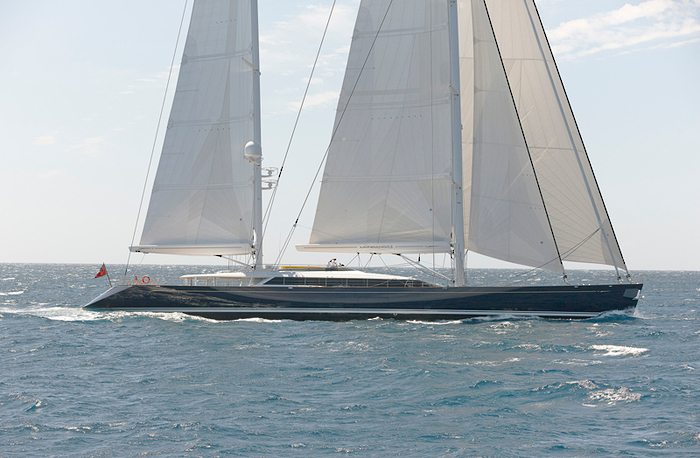 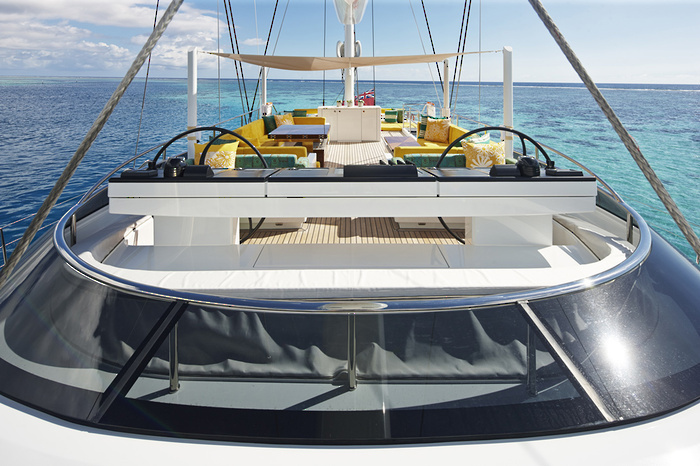 This sleek flybridge ketch is destined to become one of the most sought-after luxury yachts on the charter market. 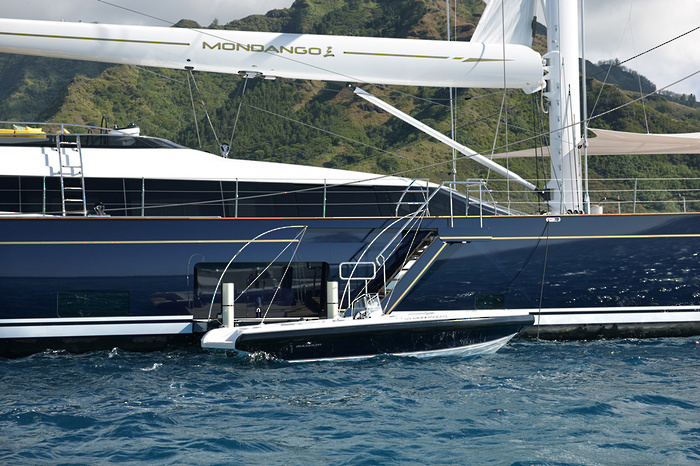 MONDANGO 3 is fast and stable, smoothly combining high performance sailing with stylish luxury to offer the ultimate in comfort, space and versatility. 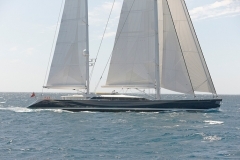 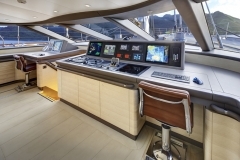 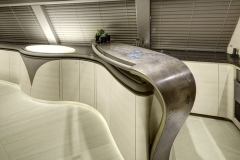 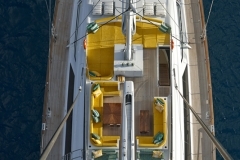 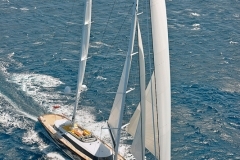 The yacht’s large aft cockpit can be sheltered by an electrically operated ‘glass’ panels for comfortable dining underway. 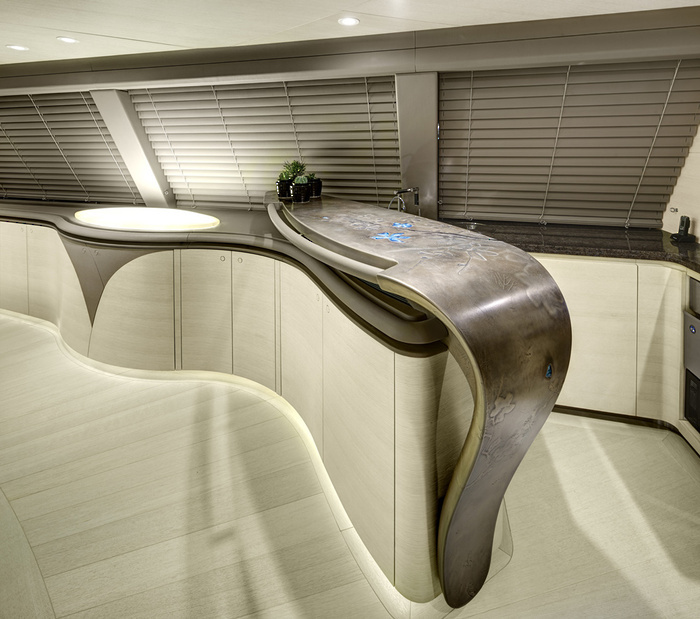 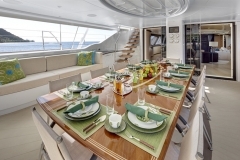 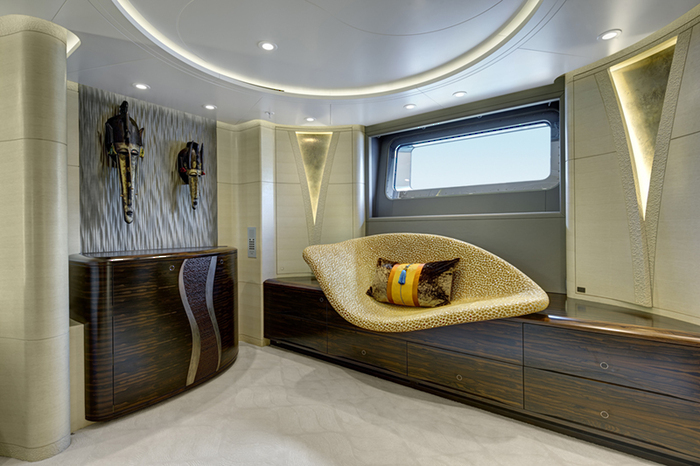 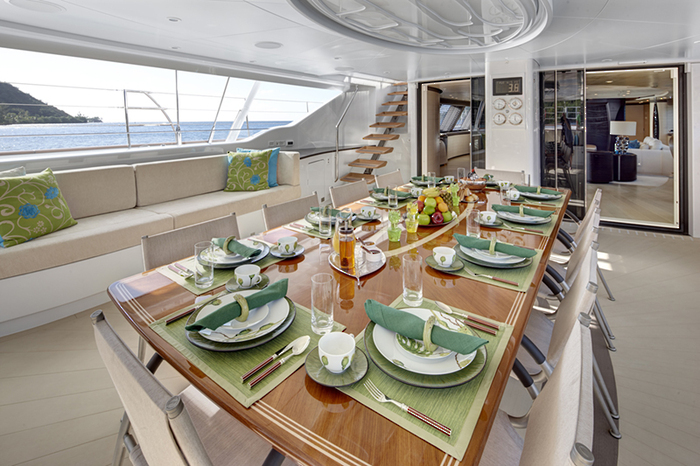 The flybridge provides an alternative al fresco area for relaxing and dining when at anchor. 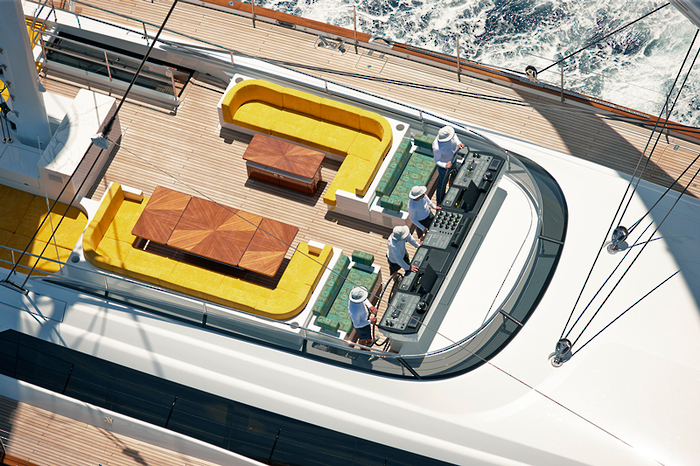 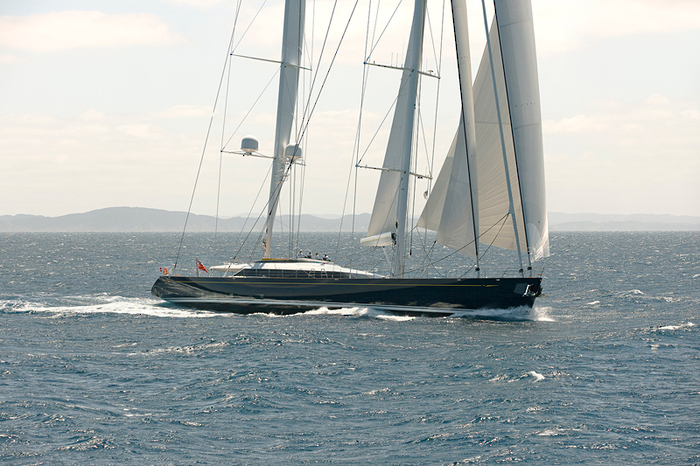 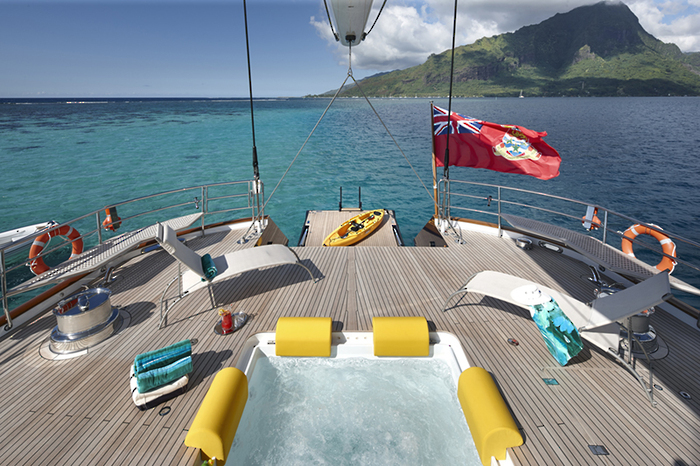 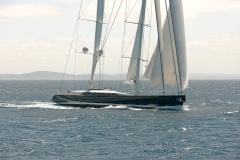 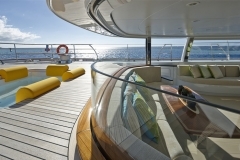 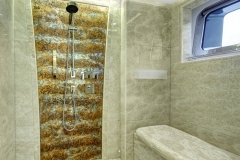 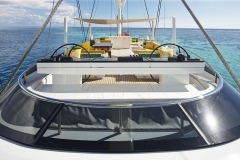 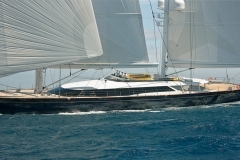 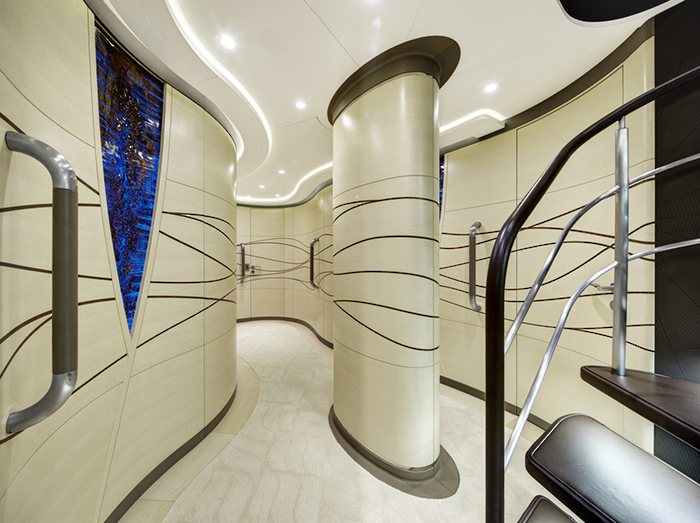 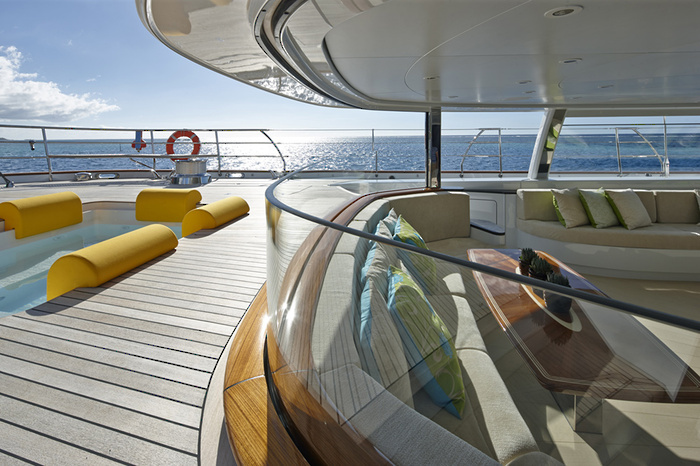 A sizeable spa pool is ingeniously concealed in the aft deck and tenders are stowed out of sight beneath the foredeck. 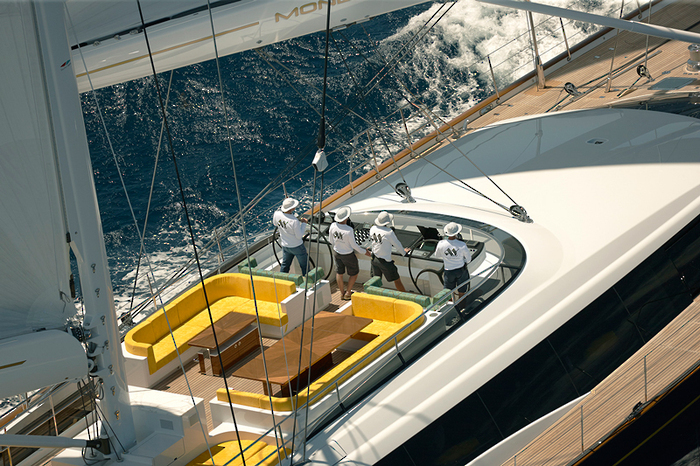 With a voluminous interior, MONDANGO 3 is light and airy, yet full of character with unique textures, contrasts and detailing throughout. 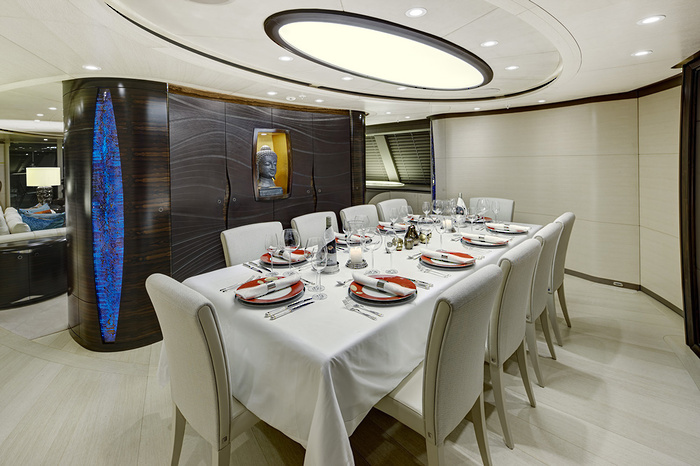 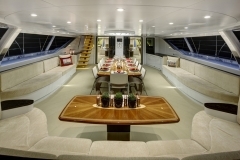 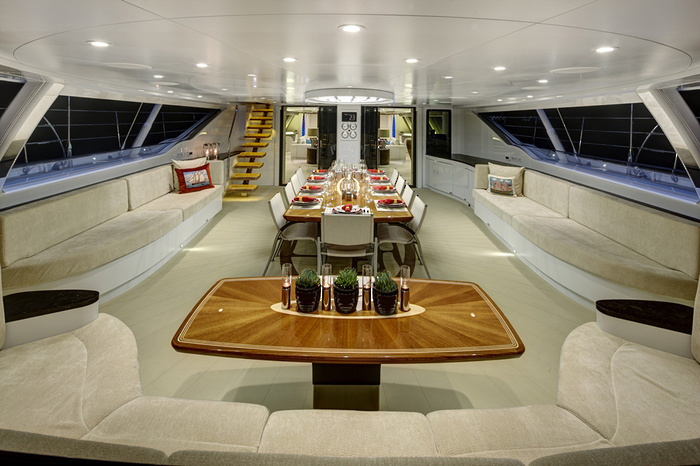 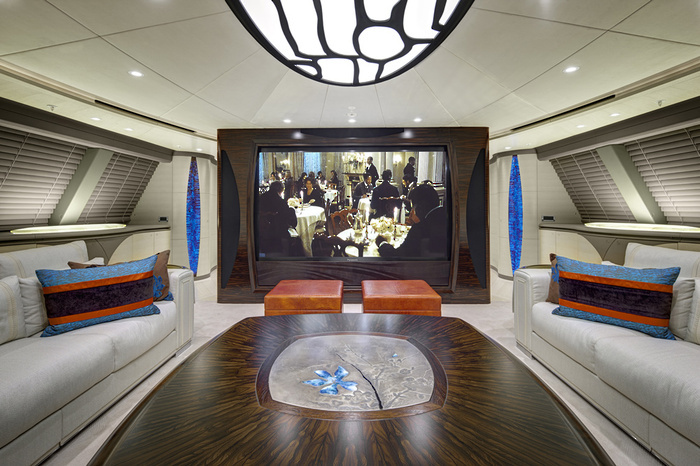 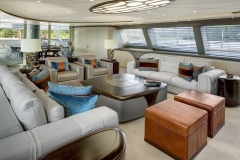 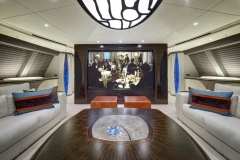 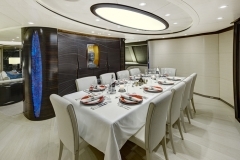 On the main deck, a floor to ceiling carved leather ‘wall’ with glass inserts houses an integrated 103″ television, cleverly dividing main saloon from dining room. 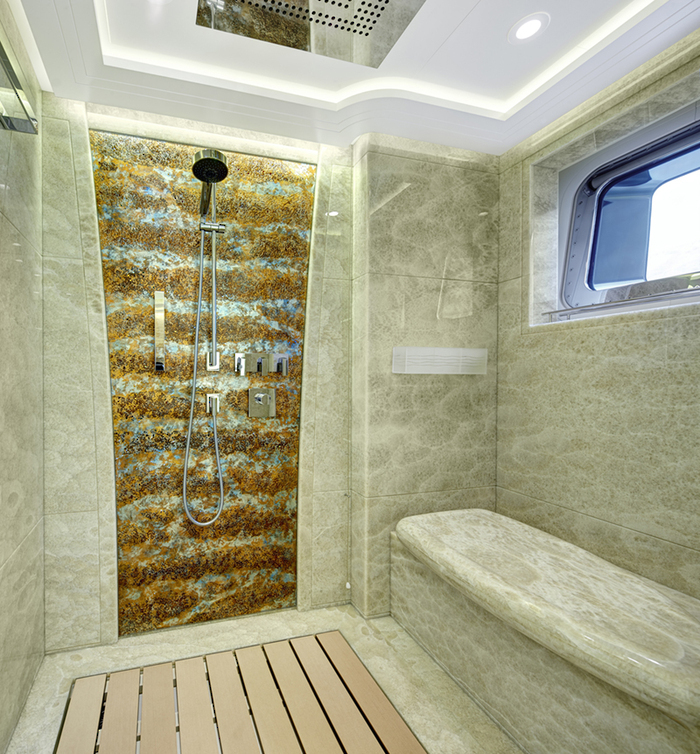 Accommodation is provided for up to 11 guests in five beautiful, contemporary cabins with pale marble en suite bathrooms. 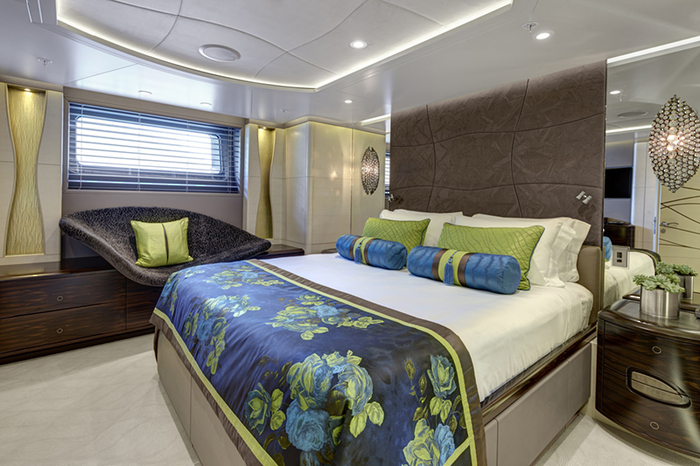 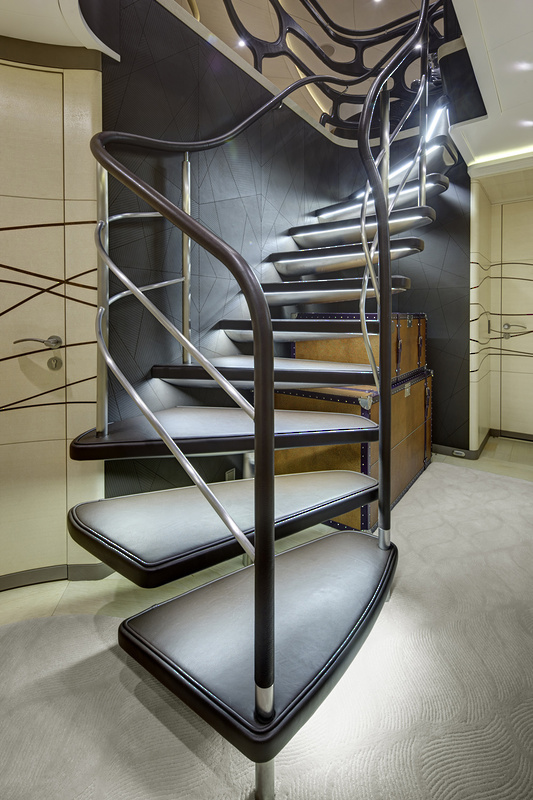 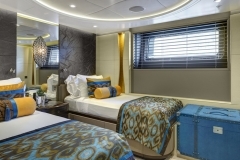 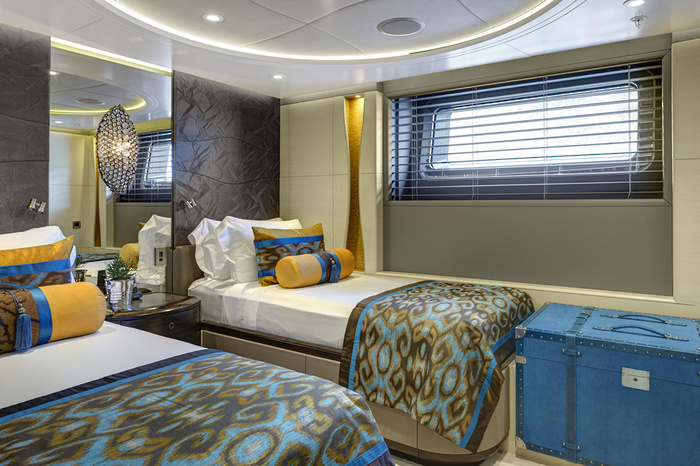 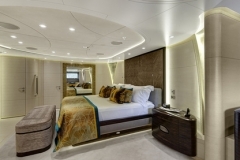 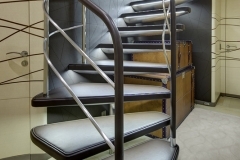 A full beam master suite is situated amidships, plus a VIP suite, a queen cabin and two twins (one with pullman). 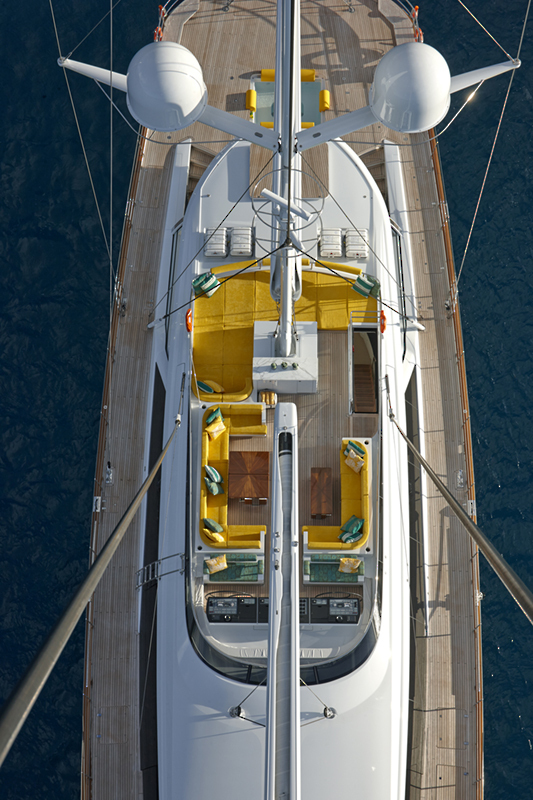 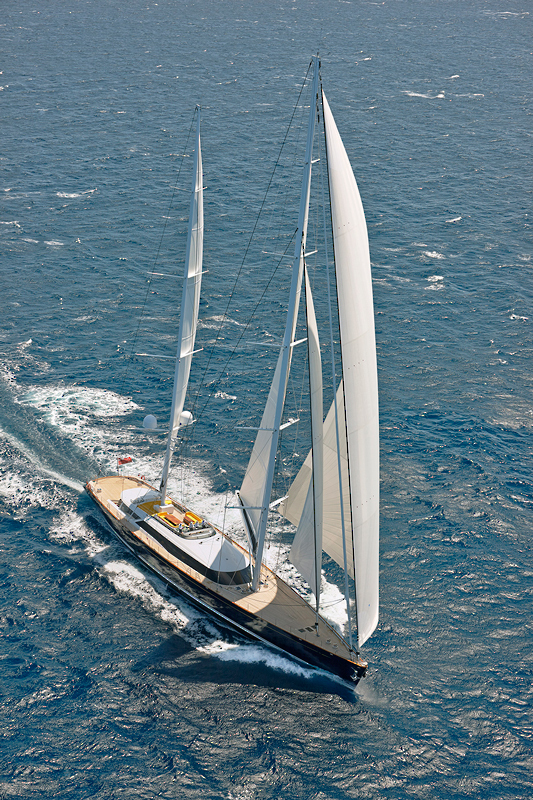 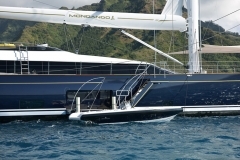 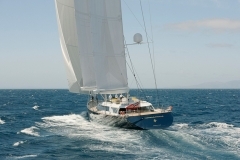 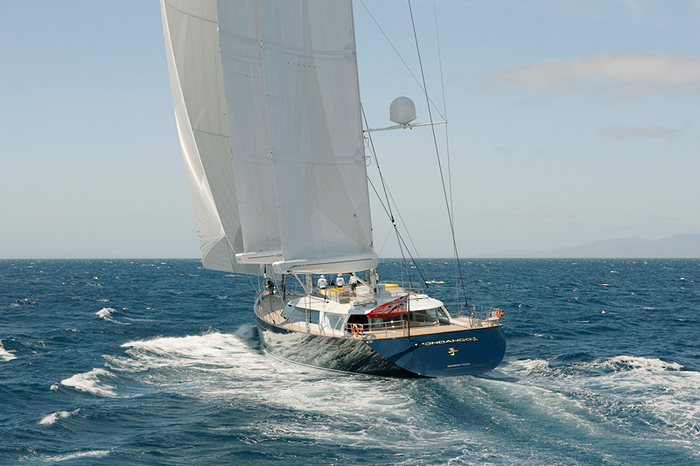 A true world cruiser, MONDANGO 3 can access all areas, including shallow harbours and anchorages.